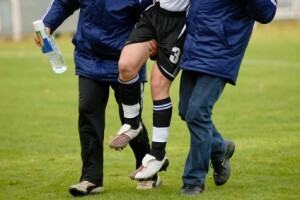 Sports Injuries are just not limited to athletes, but can happen to any individual who is participating in competitions, fitness activities, training sessions and/or any sports. These injuries are more common in teenagers due to their improper training, lack of appropriate footwear or safety equipment and rapid growth during puberty. Acute traumatic Injury: A single blow can lead to the injury like getting a punch in the eye during practicing boxing. Chronic Injury: An injury occurring due to repetitive movements over a prolonged period of time, like in running, overhand throwing or serving a ball in tennis. Often we tend to disregard chronic injuries for example ignoring the pain in your wrist or hand, or the soreness in our knees. It does not mean that the pain will go by it itself, if not treated. It can actually transform into a more serious injury over time. If you are experiencing any such kind of pain, book an appointment with us today and let our physiotherapists help you find relief.